I struggle to come up the name of another person who even remotely resembles Dr Govinda KC. He has repeatedly put his life on the line for the betterment of his society. But haven’t there been others before him who too wagered their lives for similar causes? Yes there have been some. Yet these people failed to get half the attention that has been lavished on Dr KC. I think this is mainly because of two reasons: one, there are very few people with Dr KC’s impeccable moral and professional credentials and two, Dr KC has been waging his hunger strike in an age of rapid development of Nepali media. Since the time of Ramayana and Mahabharata, everyone loves the story of the victory of the good over the evil. And there is this inner kick we get whenever we see a David slay a Goliath. Consider the odds against Dr KC. This frail doctor of 60 is fighting a lone battle against virtually the whole political establishment. He is not just fighting; he is also winning. Winning because just his audacity to try and achieve the almost impossible puts him far-far above us ordinary mortals who are always occupied with our own little selfish worries. Dr KC has also proven to be the perfect celebrity in this age of social media. 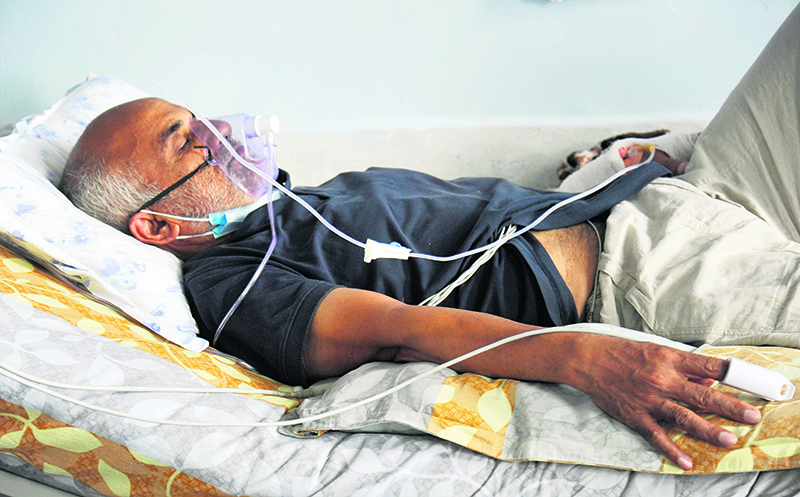 People are lining up outside his chamber in the Tribhuvan University Teaching Hospital to get a glimpse of the ailing doctor who is now barely alive. They take his photos, gas mask and all, and post it online. These powerful photos instinctively rouse the consciousness of the vast middle class, members of which are acutely aware that in their single-minded quest for money and fame they have badly neglected their social duties. Lending ‘moral’ support for Dr KC’s cause then becomes a convenient way to assuage this guilt. This, however, is not to suggest that the fame of the orthopedic surgeon is unearned. 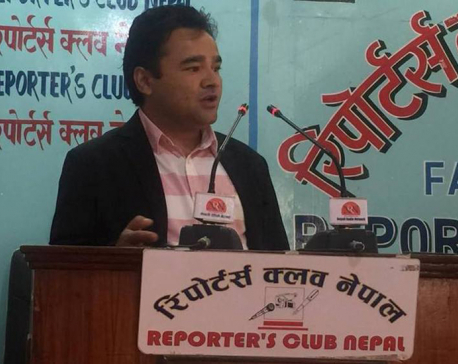 If anything, his achievements have not gotten the attention they deserve, certainly not outside Nepal. Kailash Satyarthi (of India) and Malala Yousafzai (of Pakistan) won the 2014 Nobel Peace Prize for their crusading work on protecting children from slavery and child labor, often at risk to their own lives. Before that, in 2006, Muhammad Yunus (of Bangladesh) won the same award for his pioneering work on microcredit that helped the poor and marginalized. Dr KC’s work in Nepal to bring cheap and reliable health care to all citizens is no less important. It could even be argued that the doctor’s cause is above them all since he has time and again, and voluntarily, chosen the hardest possible route of peaceful protest for the benefit of his countrymen. Giving him the Nobel Peace Prize will rightly bring him to the notice of the rest of the world, perhaps inspiring millions of people. In a world that loves its superheroes, here would be a living example of one. The rest of the world deserves to know about this Gandhian philanthropist. They deserve to know that in this country that recently witnessed a civil war which claimed over 16,000 people, a country under perpetual political instability, with rolling power cuts and intermittent water supply, where people still die after falling into open sewers, and a country beset by earthquakes and perennial water-induced disasters, there has emerged this rare source of collective hope. It’s a daunting example that he sets. Dr KC is a lifelong bachelor. He had decided early in his medical career that married life was not for him; he would rather spend all his life with his patients and medical students. Every year, he gets two weeks off from work and what does he do? Buy medicines with all his money and head to the remotest corners of the country, so that he can attend to and treat the patients who cannot come to hospitals for various reasons. That is not all. Dr KC has also rendered his services to the people of Pakistan, Myanmar, Haiti and the Philippines who were affected by various natural disasters. All his money spent on his patients, he owns nothing save a few pair of clothes. It is hard to believe there are such people in this world today, the world of individualism run amok. BP Koirala once characterized Nepali people as those who wear old and tattered clothes, who cannot properly educate their children and who don’t have any money to treat themselves with when they fall ill. Less than 10 percent people, he said, can afford ‘big homes’ and ‘vehicles’ and “they are not Nepal”. Although things have improved for many Nepalis since BP’s time, a significant number still have barely enough to eat. And it is these poorest of the poor whose cause Dr KC champions. This is why ‘Real Nepal’ so desperately needs real heroes like Dr KC.